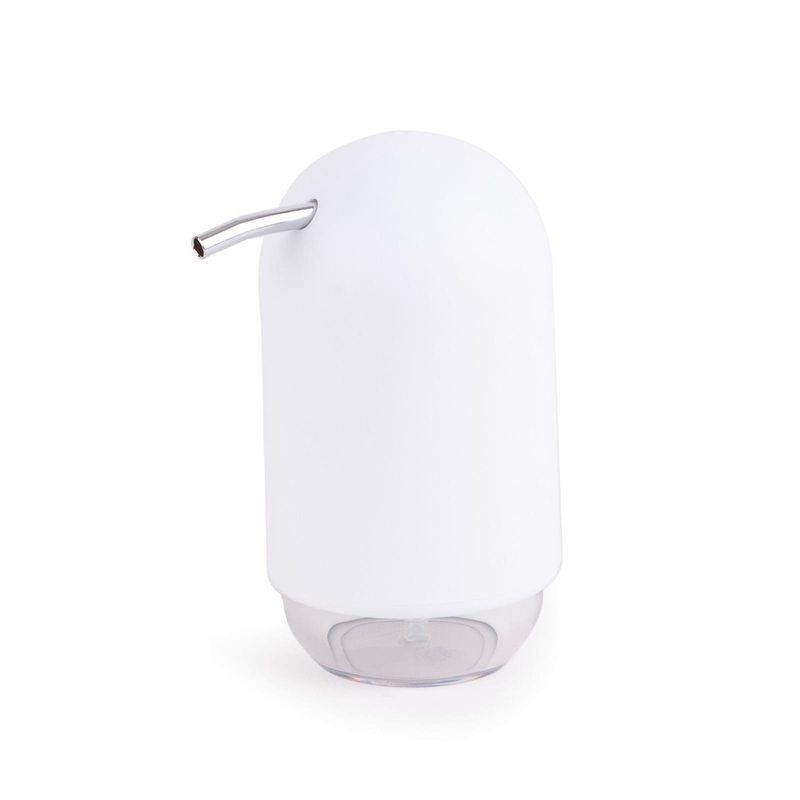 The Umbra Touch Soap Pump in white is a stylish addition to your bathroom or your kitchen, designed by Alan Wisniewski. The touch soap pump molded in a durable plastic blend. "Soft-touch" coating gives it a delicate, smooth feel. 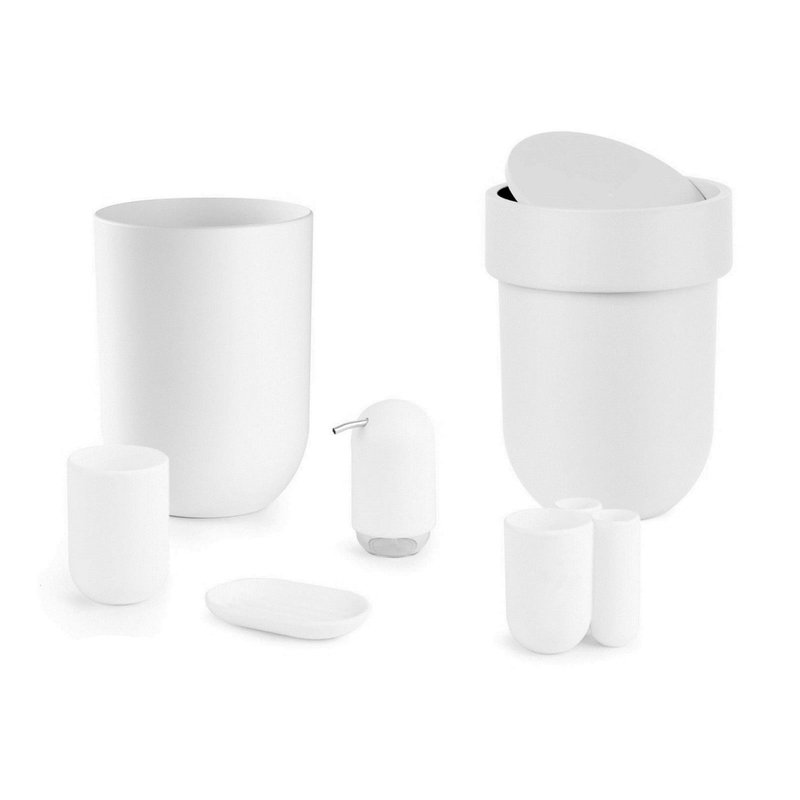 It can be filled with soap or hand sanitizer and it is equally convenient to be used in the kitchen or the bathroom. Holds 236.6 ml (8 oz) of soap or hand sanitizer.